As we enter into a New Year - we at AG Thrive would like to focus on providing actionable content that will empower you to make huge progress in your life - on your most important goals, relationships, and experiences. Our 2019 promise to you - is to become a reliable and trustworthy source for transformational information that supports you in becoming the best and most authentic version of yourself. In light of this - we are going to start the year off by providing some tips and guidance on how to create a 2019 that is remarkable and extraordinary for all the right reasons! Your first step to having an amazing 2019 should be getting closure on 2018. We suggest that you start by taking inventory of all your successes, progress, experiences, and victories that you may have accomplished throughout the year. It can be easy to lose sight of how much you have accomplished over the course of the year - and this is a nice way to get a healthier perspective on how far you have come over the past year. Plus, this should be fun - like creating a “greatest hits” list for your 2018! Take some time to think about the major lessons you learned throughout the year. This is a good time to recall the biggest challenges you may have faced - and put a positive twist on them by acknowledging what you (should have) learned from them. Each year provides you with ample opportunity to grow - and now is the time to reflect on what you learned in 2018! Okay - now that you have taken your inventory and identified your major lessons from the past year - now its time to say thank you - and trust that everything that you experienced in the past year - was necessary to lead you to the phenomenal year that you have ahead of you. You should identify particular people, places, experiences, etc., that you want to acknowledge for making the past year special and meaningful. This exercise is a nice way to engender feelings of hope and optimism for the year ahead. This is the final part of moving on from 2018! On this particular exercise - we encourage you to take inventory of the people, places, experiences, feelings, beliefs, mindsets, habits, etc., that you do not want to carry with you into 2019. Now, if there are any unresolved issues from 2018 that need to be addressed - then we encourage you to develop a plan of action or strategy on how you want to achieve healthy closure on them. If you aren’t sure how to do this - or - you need support in doing so - this would be a great time to access any internal and external resources available to you - and do this with someone you trust and have confidence in. If possible (and it is possible) - it’s important to try and accept and forgive the less desirables aspects of this past year - mostly as a way of practicing self-compassion, self-love, and choose growth and progress for the you that’s going to crush 2019!! Holding onto resentments, grudges, pain, sorrow, worry, etc., will most likely inhibit you from growing the year you want - and instead will keep you stuck in painful patterns. We feel like this is a great way to close out the past year - and not necessarily a process that should take more than hours (the benefits from doing this are substantial - so, the ROI for your time is well worth it!!). 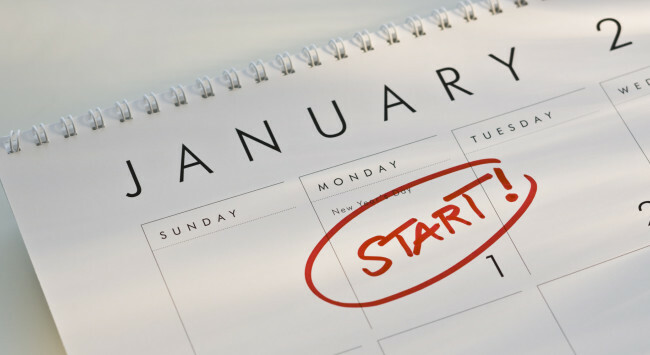 To finish out January - we will release a message on the 9 traps that keep you from achieving your resolutions - and then a message on how to successfully solve these traps so you can achieve your biggest goals in 2019!